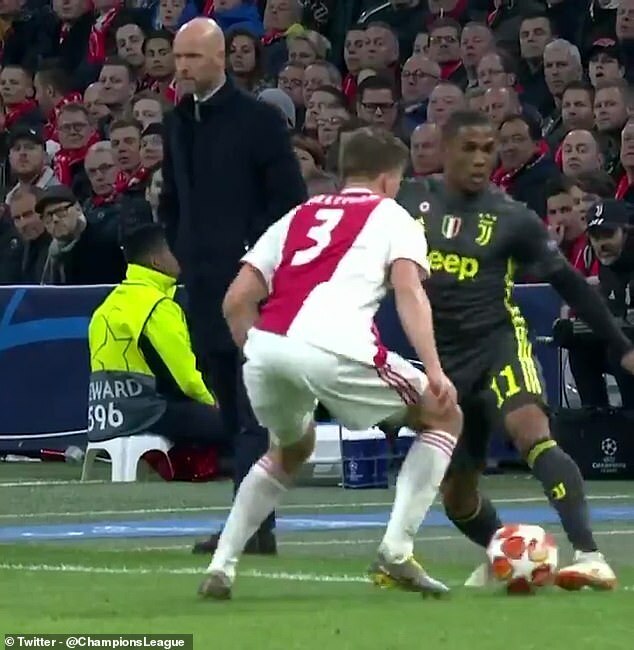 Juventus star Douglas Costa performed a mesmerising skill against Ajax on Wednesday night. The Serie A winger bamboozled defender Joel Veltman with an incredible ‘elastico’ nutmeg. People on social media were in awe of the skill and took to Twitter to give their thoughts. One person reacted to the amazing skill with a simple sentence saying: ‘Pure filth’. 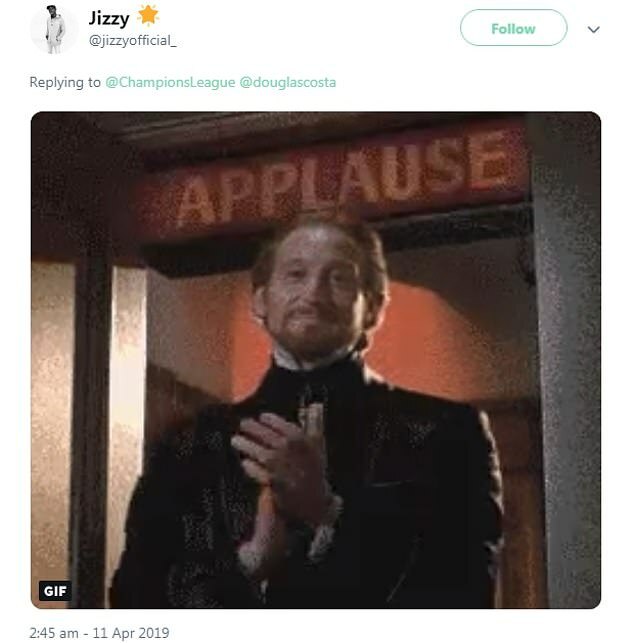 Another person posted a GIF of someone clapping in response to the video of the skill. 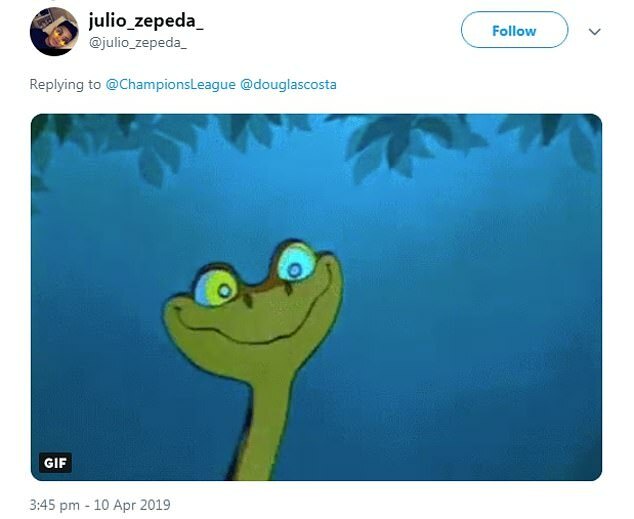 Costa himself tweeted the video with a fire and lightning strike emoji to show how happy he was with the skill. Someone posted a GIF of a slithering snake to emphasise the movement of the ball. Costa came off the bench and helped his side see out a 1-1 draw at the Johan Cruyff Arena.